Join speculative architect Liam Young and an all-seeing smart city operating system, as they take a tour in a driverless taxi through a network of software systems. They go through autonomous infrastructures, ghost architectures, anomalies, glitches and sprites, searching for the wilds beyond the machine. 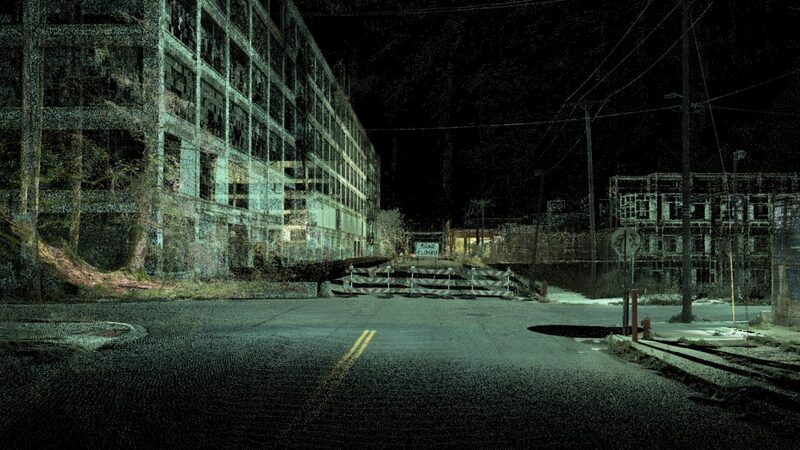 Based on Young’s animated short “Where the City Can’t See” and shot entirely using laser scanners, the film is an audio-visual expedition to a city found somewhere between the present and the predicted, the real and the imagined, stitched together from fragments of real landscapes and designed urban fictions. Young’s work has been collected by institutions such as the Metropolitan Museum of Art and the Victoria and Albert Museum. He has taught internationally at the Architectural Association, Princeton University and now runs an MA in Fiction and Entertainment at SciArc. Young’s narrative approach sits between documentary and fiction, as he focuses on projects that aim to reveal the invisible connections and systems that make the modern world work.